Perfect for graduations, birthdays, weddings...any kine celebrations! What a treat to give and receive this beautiful token of Aloha to let someone know that you are thinking of them. 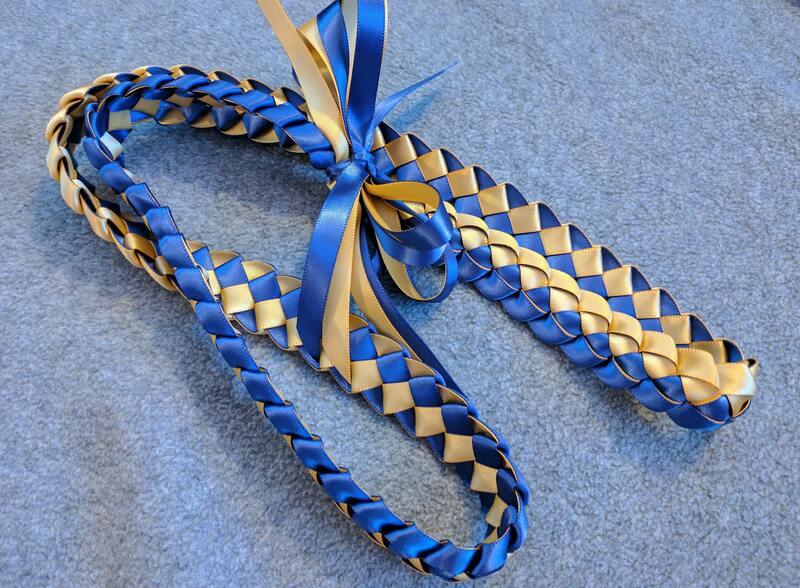 This listing is for one single braid lei uses over 20 yards of 3/8" satin ribbon, grosgrain can also be used if requested. We create this using two colors to represent your school or other theme, or use 1 color because it's your favorite. 3 or 4 colors just for fun...just let me know through the special notes. 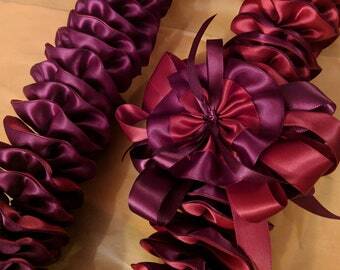 We handcraft each lei with aloha and ship to you as soon as we complete through USPS Priority shipping. Please ask if you have any questions, we'll be happy to assist you! Qty discounts for 10 or more. Please specify colors or send me the school website for me to look up. Also look up our triple strand braid lei listing for another special treat. Mahalo!